The White Sox will have a hard time replacing Michael Kopech in 2019. When the Chicago White Sox lost top pitching prospect Michael Kopech to a torn UCL that will require Tommy John surgery, the organization made their expectation clear. Kopech will return with tremendous stuff and be a part of their plans in 2020 and beyond. In the interim, the White Sox have to figure out how to survive the 2019 season without Kopech. And while they won't have to deal with the pressure of playoff expectations, the 2019 season needs to be one where the White Sox show that they're successfully transitioning their roster. From a simple numbers standpoint, the White Sox must find another starter and that's more difficult than most would like to believe despite a farm system loaded with power arms. Because assuming that you can just thrust one of those other big-time pitching prospects into the fire sets that player up for failure. We know that the White Sox have been incredibly apprehensive about doing that. It's why they waited until August to promote Kopech and why Eloy Jimenez wasn't a part of September callups. Taking a player like Dane Dunning (provided he has recovered from his own injury) or Dylan Cease (also shut down for the year) and throwing them into the Major League rotation where they can't control their innings isn't an ideal situation. In fact, it'd fly in the face of the decisions Rick Hahn has made throughout this rebuilding effort. That might mean that a better option would be to [bring in a veteran](https://theathletic.com/511814/2018/09/07/michael-kopech-lost-to-tommy-john-surgery-and-optimism-for-2019-goes-with-him/) to compete for that spot in the rotation. Unfortunately, the White Sox aren't likely to be in a position where they're looking to spend much during the offseason with 2020 looking like where their window to compete begins to open. So they'll look to find value via trade or free agency and that's not always going to land you the sort of player who is going to make your team better. With the knowledge that whoever they sign is likely to be a placeholder, it limits the sort of interest you can generate. Assuming whoever they land is a replacement-level player, that means the White Sox are sacrificing whatever they thought Kopech might be worth to them this season in terms of win expectancy. So if Kopech was going to give them 180 innings and continue to show flashes of the front-of-the-rotation stuff he displayed this summer, that might mean three or four theoretical wins above replacement left on the table. For a team without outside hopes of proving to be ahead of schedule with all their young talent, it could mean the difference between another round of sell-offs at the trade deadline or charging up to make a run. It can change the complexion of the year. From a gambling standpoint, it's too early to say what it might do for their win total in 2019. The White Sox are almost certain to go UNDER their total of 72.5 this season with 56 wins and 21 games remaining to play. That total will presumably come up with the expectation that Eloy Jimenez will come up and be a difference-maker in the middle of that lineup, and that the rest of their roster will continue to progress. 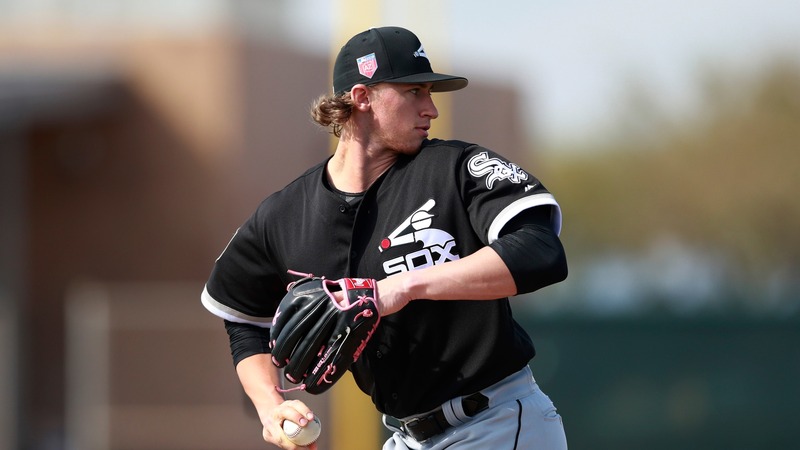 And while Westgate manager Ed Salmons [is confident](https://www.betchicago.com/white-sox-michael-kopech-tommy-john-surgery) they're going to be a good over play in 2019, that will really boil down to where the number lands. Losing a player you're expecting to be an important part of your organization -- whether they're a prospect or an established star -- is never something you can simply breeze past. The White Sox will have a tough time figuring out how to replace the productivity lost. That usually shows up somewhere on the bottom line. Which means if you're planning on playing White Sox futures in 2019, you'll want to shop around. With the volatility of a young, unpredictable team and now the added unknown of losing Kopech for the year, getting the right number might define whether you win or lose.